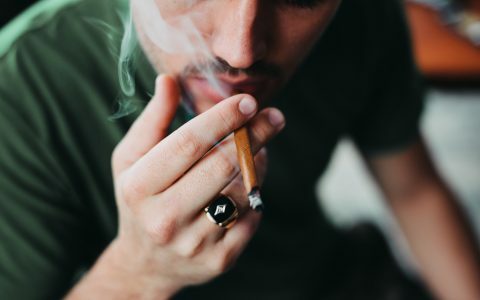 Two years after Massachusetts voters approved recreational legalization, and after numerous delays at the state and local level, sales of cannabis in the Bay State have finally begun. 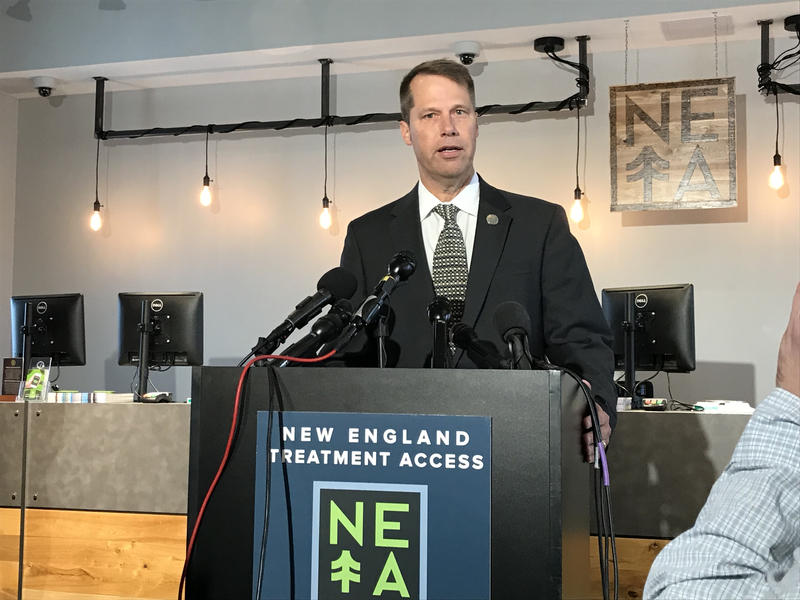 On Tuesday morning at 8 a.m., two licensed retailers—New England Treatment Access (NETA) in Northampton and Cultivate in Leicester—began legal sales of cannabis, opening the first regulated market on the East Coast. 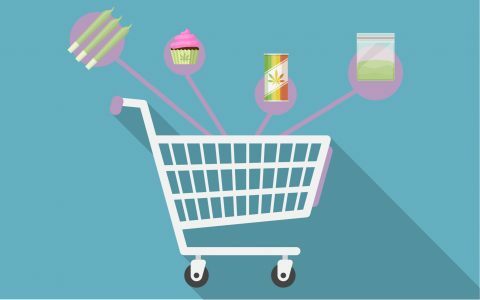 While many more retailers across the state have yet to open their doors, the launch marks a key milestone in the legalization movement. Leafly will be monitoring the first day of sales and providing updates throughout the day from both from Leafly headquarters and on the ground in Massachusetts. 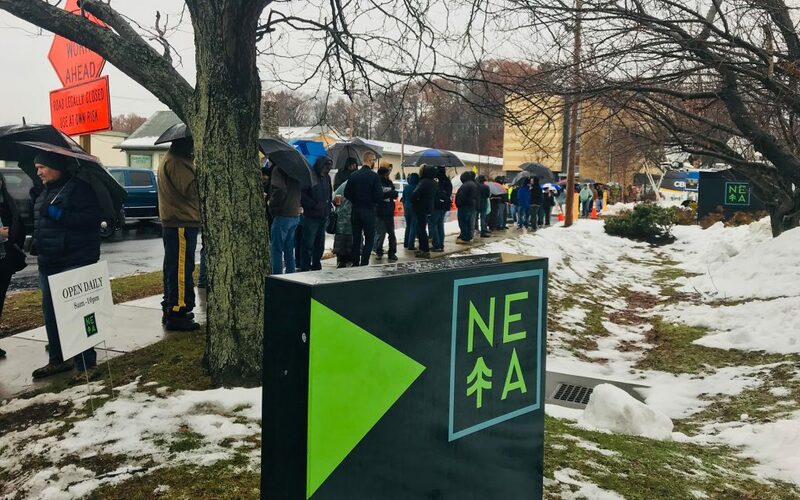 NORTHAMPTON — Despite chilly temperatures and bouts of freezing rain, operators at NETA are declaring the first day of adult-use cannabis sales in Massachusetts a true success. Customers were steady at the shop throughout day, making for long outdoor lines that sometimes stretched multiple blocks. NETA employees did their best to keep customers dry, handing out light green ponchos to folks in line and tissues to those who made it in with wet glasses and runny noses. 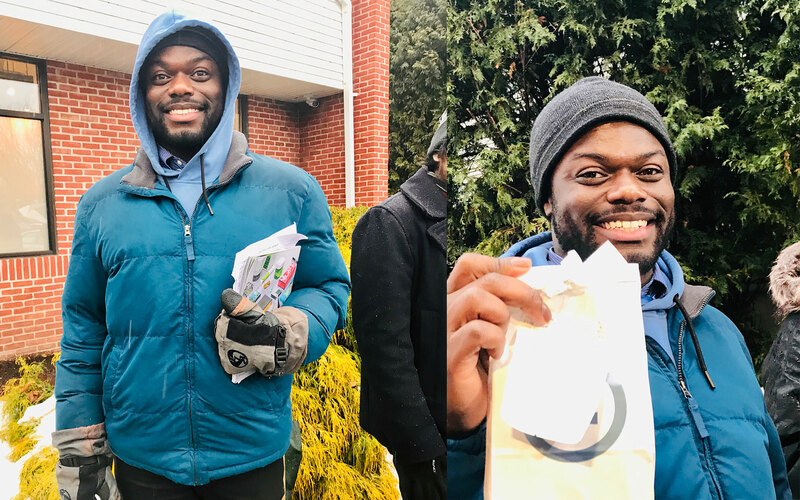 The first official customer after a ceremonial purchase from Northampton Mayor David Narkewicz was town resident Daquaan Hamilton, who said he arrived outside NETA at around 12:30 that morning. He was finally able to head in to the dispensary around 8:30 a.m., after more than eight hours in line. “Now that I’m done and have walked through the warmth and can actually feel my toes? I feel on top of the world!” Hamilton exclaimed as proudly held up his purchase, a vape pen and some infused edibles. 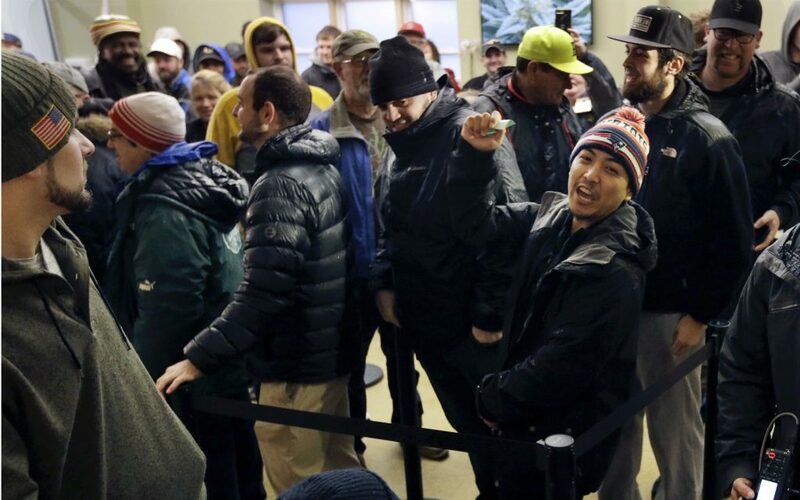 Reports from Leicester and Northampton indicate that lines are growing again as people descend on the only two legal cannabis shops in Massachusetts at the end of a long workday. Thanksgiving weekend could make things even busier as shoppers rush to stock up ahead of a holiday break. With lines that have at some points today stretched around the block, customers heading to NETA or Cultivate should plan for long waits outdoors. Wear plenty of clothing to stay warm and dry. To help speed transactions, be sure to pick up cash beforehand and arrive with a valid, government-issued ID. 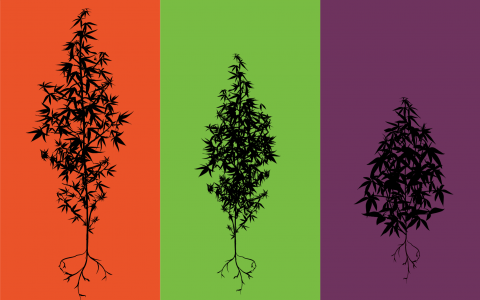 Indica vs. Sativa: What’s the Difference Between Cannabis Types? As more and more states legalize cannabis, even once outspoken opponents are beginning to change their tune. The same day Massachusetts cannabis stores opened for adult-use sales, US Rep. Joe Kennedy (D-MA), a longtime skeptic of legalization, announced that he’s evolved on the issue and now supports legalization and regulation at the federal level. 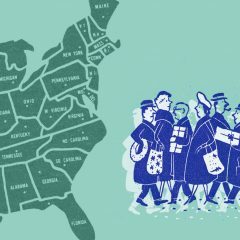 With Democrats in control of the US House of Representatives, Kennedy is likely to find colleagues eager for his help. 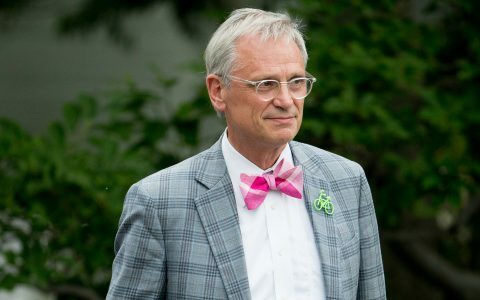 US Rep. Earl Blumenauer (D-OR), a founding member of the Congressional Cannabis Caucus, recently announced a plan to end cannabis prohibition at the federal level during next year’s legislative session. NORTHAMPTON — The slushy rain continued for much of the morning, only beginning to let up around noon outside New England Treatment Access (NETA). Doing all they could to ensure a smooth rollout, NETA staff had Smithsonian Catering provide hot coffee and snacks for those braving the weather to be a part of the momentous day. NETA’s location in western Massachusetts makes it an easy spot to get to from neighboring states, including Vermont, Connecticut, and New York. Many of those who lined up earlier in the day said they were from out of state. Smithsonian Catering’s Peter Langlois said he’d been at NETA setting up since almost 4 o’clock this morning. He planned to stay a while, then go inside to make a purchase for himself before he heads out. In addition to food, NETA also provided the long lines of waiting customers with port-a-potties, including one that could accommodate wheelchairs. Staff also passed out rain ponchos to those in line. Despite the large turnout, the line of folks waiting outside NETA in Northampton wasn’t particularly diverse. It was made up of mostly white men in their 20s, though a few women, people of color, and older customers could be seen. 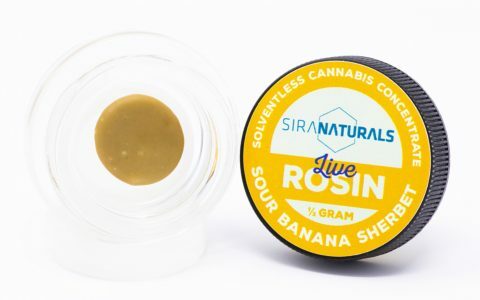 Cannabis Control Commission Chairman Steven Hoffman noted Tuesday there were long lines outside the stores in Leicester and Northampton, but that the crowds appeared “orderly.” He praised the operators of the retail stores for having done a thorough job of planning. There were no immediate reports of supply shortages at either store. The commission voted Tuesday to issue final licenses to two more retailers, in Salem and Easthampton, but neither is expected to open immediately. What's on the Menu in Northampton? Potsquatch Sighting at NETA in Northampton! 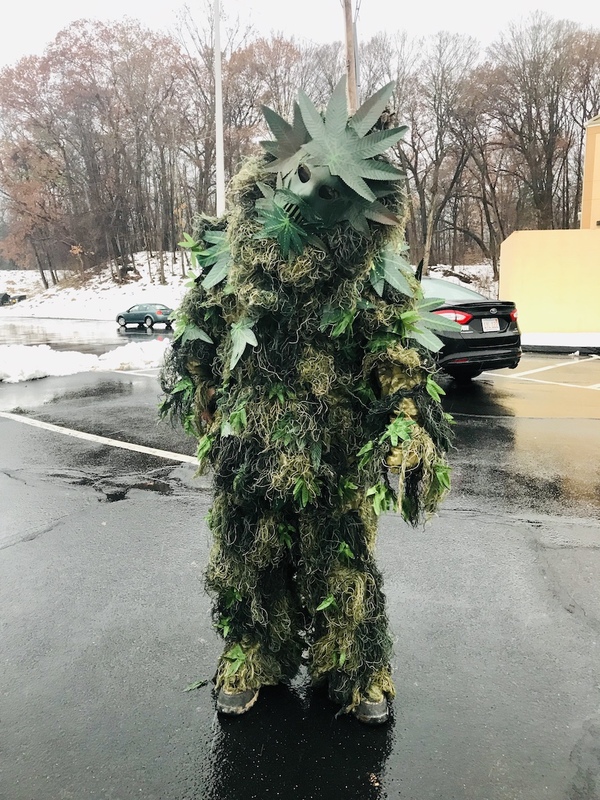 NORTHAMPTON — Potsquatch, aka Dave Mech, 57, of Springfield, MA, made an appearance early this morning at one of the first dispensaries allowed to sell adult-use cannabis. 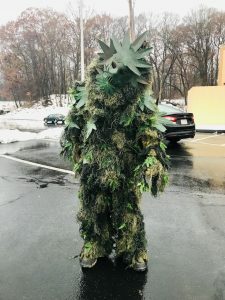 Potsquatch, who has been described as big, green, leafy, and super dank, has been spotted all over western Massachusetts during the last couple of years after first making his appearance during news coverage of a blizzard in 2017. 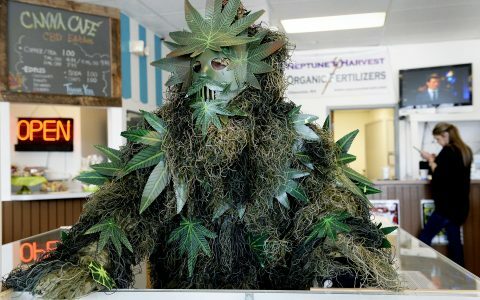 Mech, who works in the cannabis industry, enjoys popping up in places dressed as Potsquash, and the first day of legal sales in Massachusetts was no exception. Arriving only 20 minutes before doors were to open at 8 a.m., Potsquash made his way to the dispensary, stopping for photos and selfies. And despite not having camped out all night for a spot in line, he was still allowed to go in less than an hour later. Seems like being a weed monster pays off after all. LEICESTER — People lined up in the rain to be among the first customers at stores in Leicester and Northampton Tuesday morning. 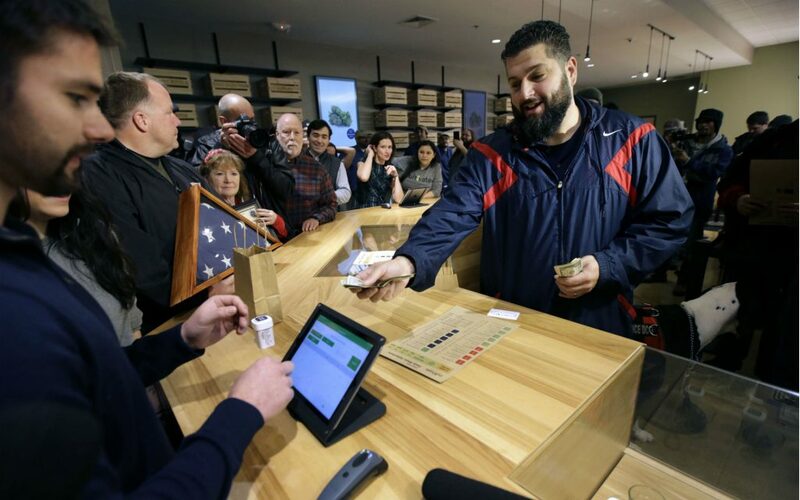 The first customer at the Leicester store was Stephen Mandile, an Iraq War veteran who has been using medical marijuana to treat his post-traumatic stress, a traumatic brain injury, and chronic pain. Customers were shuttled to Cultivate, the Leicester store, from a remote parking lot about a mile away as police kept a visible but low-key presence outside. Customers perused offerings kept behind counters and under glass. “It’s a very nice place. It’s way more than I expected,” he said as he waited to pick up cannabis flower and infused edibles. 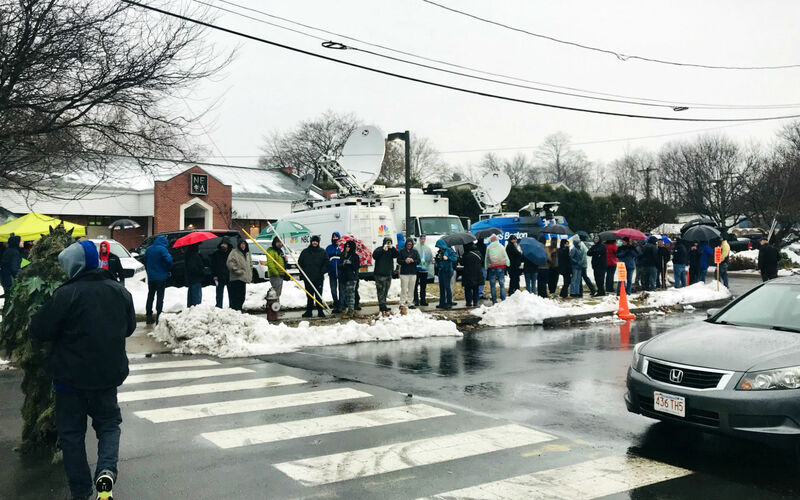 NORTHAMPTON — The line at NETA wrapped around the parking lot and two subsequent streets on Tuesday, with arrivals showing no sign of slowing down despite the morning’s unrelenting sleet. Daquaan Hamilton, 22, showed up at 12:35 this morning to secure his spot as the first customer in line. A little numb below his knees by 8 a.m. when the dispensary planned to open, Hamilton had been up for 22 hours by the time we spoke. “I knew this is a huge step for the state and the country,” he said. “I wanted to be the first person to buy weed legally east of the Mississippi!” Calling himself an infrequent consumer of cannabis, Hamilton his plan was to purchase a RUBI vape pen and some edible gummies. 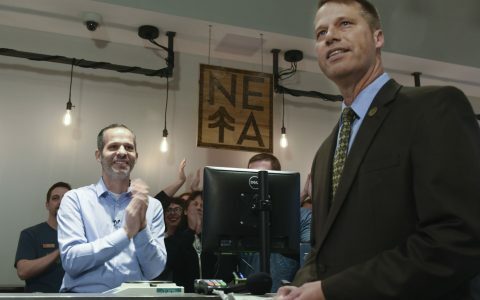 While Hamilton was the first customer “off the street,” the first person to officially purchase legal recreational cannabis was Northampton Mayor David Narkewicz, who bought a chocolate bar from NETA. During a press conference the day before, Narkewicz discussed the significance of a politician being the first customer. “I think there’s a lot going on here in trying to bring marijuana out of the shadows,” Narkewicz said, noting that there is still stigma around cannabis that needs to be broken down. The first legal sale is expected shortly after 8 a.m. at New England Treatment Access (NETA), in Northampton. A second store, Cultivate, in Leicester, opened early to also begin sales at 8 a.m. If you’re planning to show up, be sure to come prepared. Bring cash, a government-issued photo ID, and as much patience as you can muster—lines at both shops are expected to be long as shoppers from around the state descend on its only two approved retailers. For a sense of what’s in stock, Leafly has both the Northampton and Leicester menus available online. 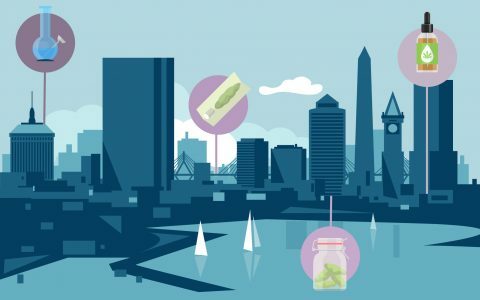 We’ve also put together a guide to Massachusetts cannabis products as well as some of our favorite of the state’s medical marijuana products, many of which are slated to become available to adult-use consumers. 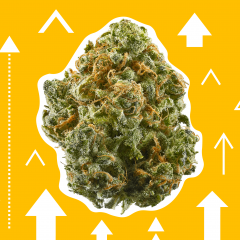 For a sense of some of the state’s favorite flavors, check out our guide to the top trending cannabis strains in Massachusetts. When Will More Stores Open? While exact opening dates aren’t yet known, dozens more retail outlets across the state are in the process of obtaining final licenses from state and local regulators. 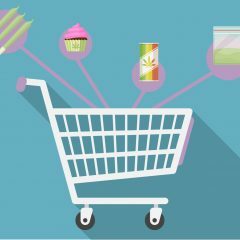 Leafly is tracking those dispensaries here, and more will become available on Leafly Finder as they begin adult-use sales. 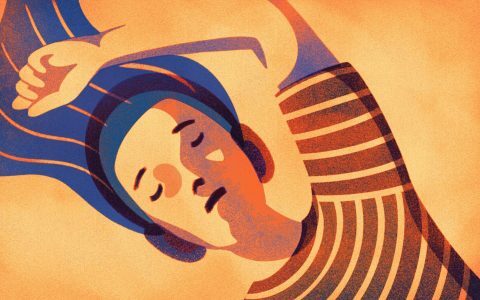 Leafly has all sorts of resources, from an FAQ about what to expect on day one to how to handle a too-intense cannabis high. If you’re new or recently returning to cannabis, start with some of our Cannabis 101 resources. For a bit more focused information, consult our Health, Lifestyle, or Strains and Products sections. 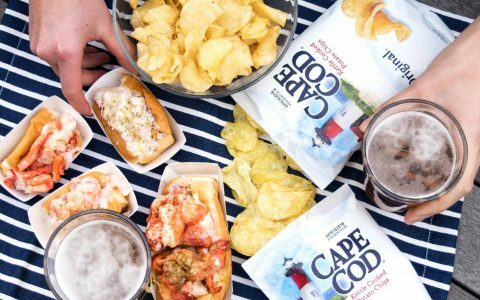 In need of some Massachusetts munchies? We’ve got you covered there, too. Congratulations, Massachusetts! All of us here at Leafly wish you a warm welcome to legal era.